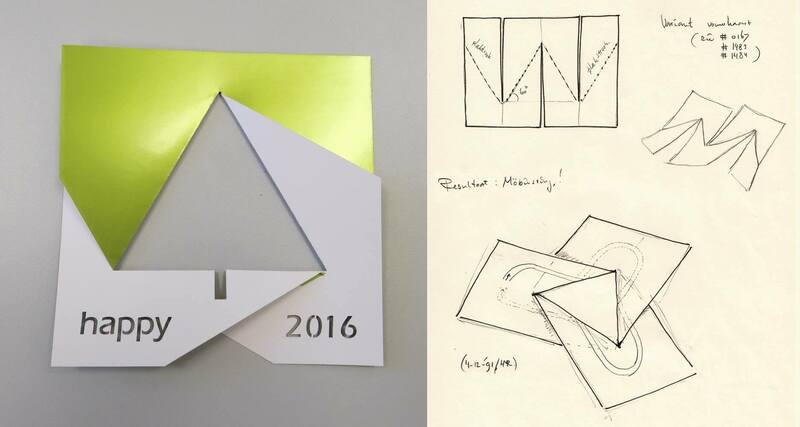 In this week’s post we check out a tile designing contest from 2010, learn about some breakthrough news in computational algorithms, and get a DIY project to ring in the new year. Speaking of the new year… welcome to the new year!! 2016 is 11111100000 in binary, by the way. Pretty cool right!? The five 0’s at the end tell you that 2016 has five 2’s in its prime factorization. That is, you can divide 2016 by 2 five times and still get a whole number. The big bunch of 1’s at the start means its also divisible by a number that is one less than a power of 2. 63, basically. That is to say, 2016 = (26–1)(25). I think that signals a promising year. Bring it on. 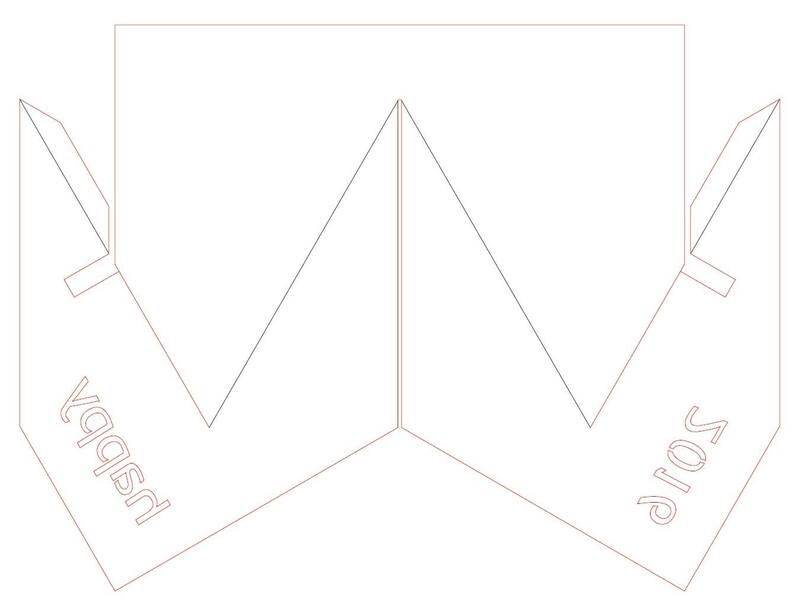 Click here for the downloadable, printable, cuttable, foldable, template and make your own! A tile pattern I designed. Anyone else thinking bee hive? Up next, I’ve been playing a lot of board games that use square or hexagon tiles, and I’ve been thinking about what other tiles might make for a cool game. 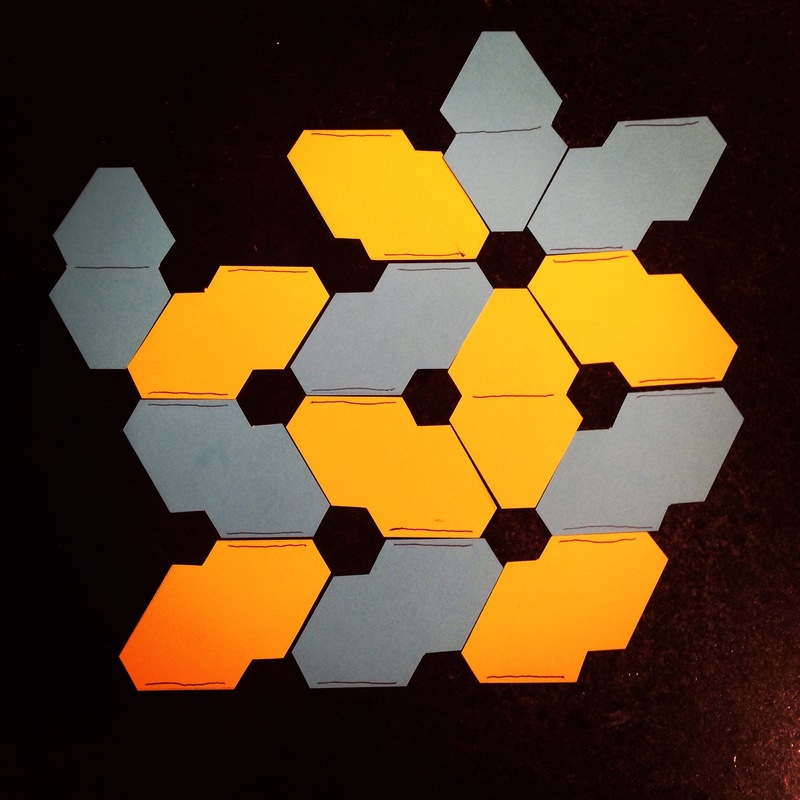 First off, here’s a little tile I came up with that always leaves hexagons in the places where they meet. Might make a neat game where you build a bee colony. Who knows. But in my searching for groovy tiles, I found ScienTile. 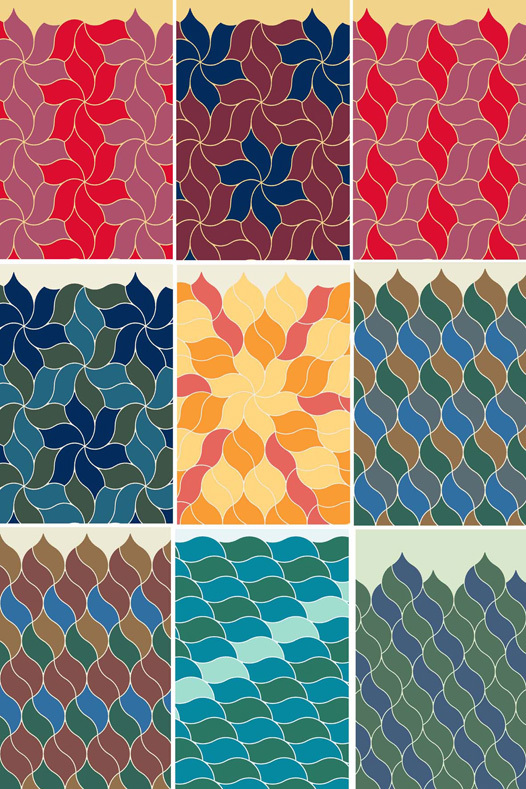 ScienTile was an “open tile design competition” initiated by Dániel Erdély, a Hungarian mathematician and mathematical artist featured previously on MM for his spidrons. In fact, ScienTile was meant to commemorate the 2010 Bridges Conference, which was in Hungary. Sadly, I don’t think the ScienTile competition was repeated in later years, but the results from 2010 are quite beautiful. I was most struck by the picture below, a tile designed by Gabor Gondos. I also really liked this one by the wonderful Craig Kaplan (featured previously here), but all the submissions can be found here. All these graphs are isomorphic, and the new algorithm could tell you that… really fast! Finally, some breakthrough math news from the computational world. Computer scientists have develop a new fast algorithm for solving” the graph isomorphism” problem, which simply checks whether or not two graphs (think connect-the-dots pictures) are really the same. All the graphs in the gif on the right are isomorphic, because they can be morphed into each other without changing the connectivity of the dots. The new algorithm breaks a computational record that was unbroken for the last 30 years, which is a crazy long time in computer terms. Congratulations László Babai, who can be seen below presenting his breakthrough paper at the University of Chicago. 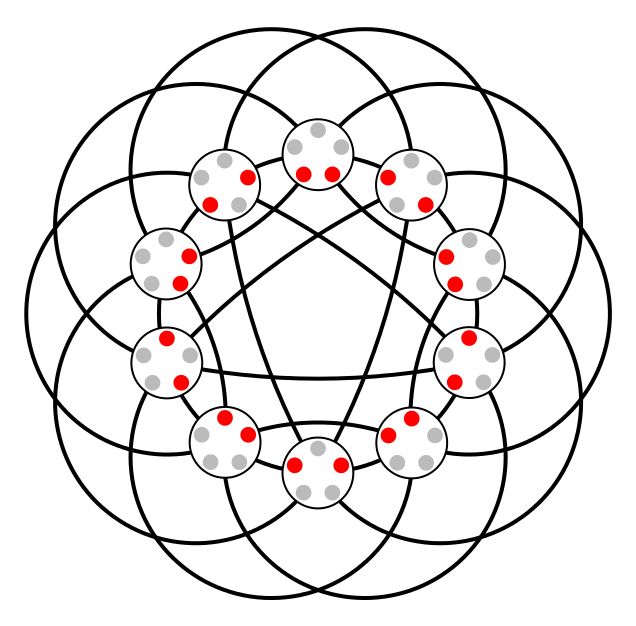 His algorithm actually doesn’t cover all types of graphs, but Babai was able to show that the only type of graph not covered were the highly symmetric Johnson Graphs. You can see one of these on the right. You can find more info on the record-breaking algorithm in this article from ScienceNews.org or this write up from Quanta Magazine.